This .40 caliber Smith and Wesson 180 grain bonded PDX1 jacketed hollow point (JHP) Winchester ammunition is a superior choice for personal protection. For more than 100 years, Winchester has been setting the standard for quality and performance in ammunition used for hunting, sport, military, and personal defense. The bonded PDX1 ammunition is specifically designed to maximize terminal ballistics and stop real-world threats. With an expected muzzle velocity of 1025 feet per second, you’re getting maximum impact from this round with every shot. How does the bonding process work? The bullet and jacket are welded together, which allows for controlled expansion and improved retained weight. Since it’s also hollow point, you get outstanding performance regardless of the situation. 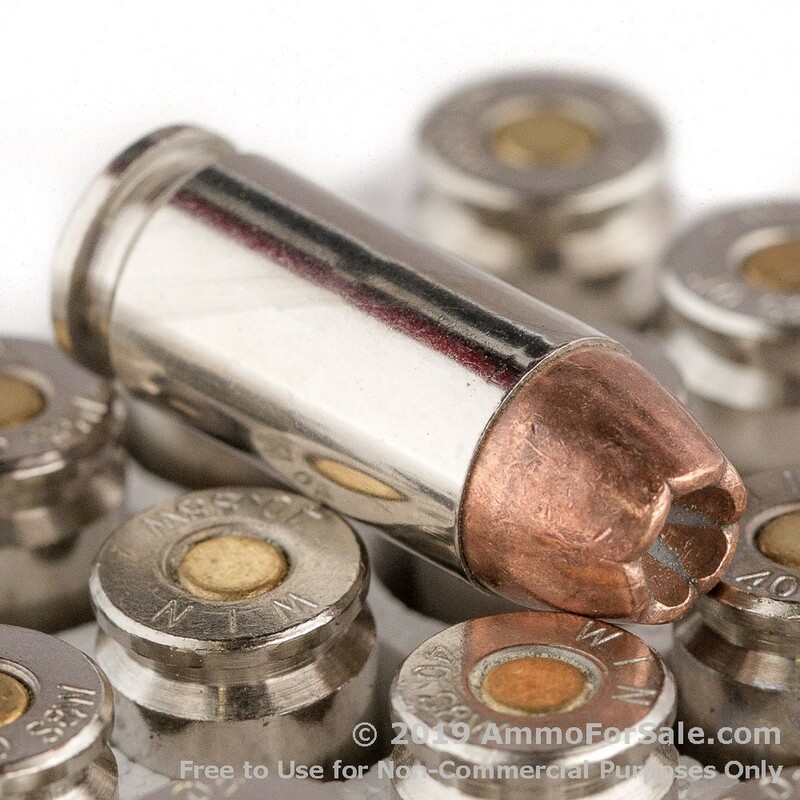 These bullets can penetrate the toughest barriers, while maintaining velocity and range. The jacket is manufactured with six notches, which allows for consistent expansion and performance at any impact velocity. 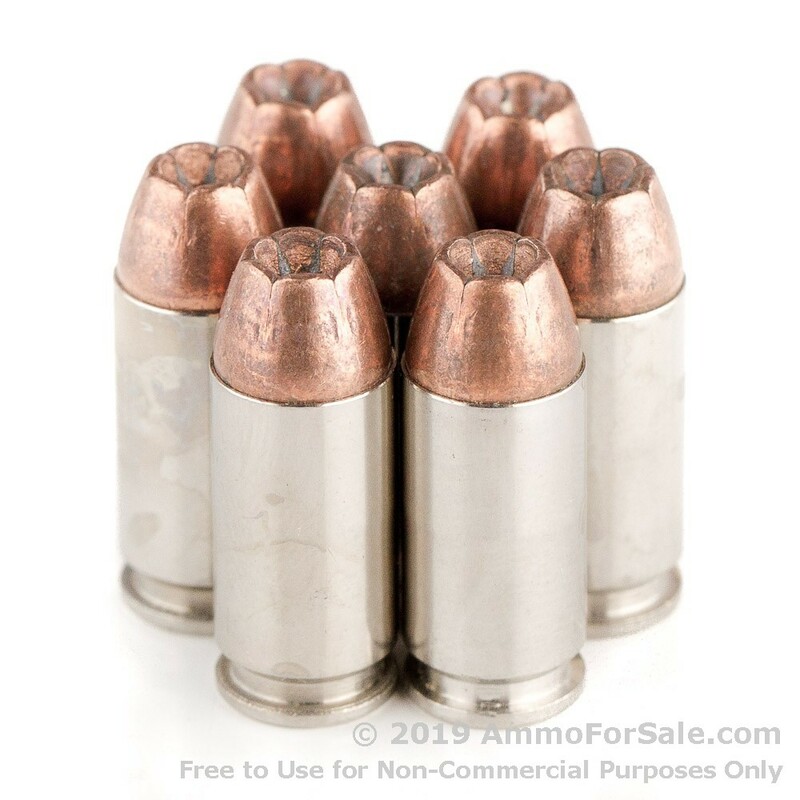 This round offers maximum stopping power by expanding to one and a half times the size of the original bullet diameter. The nickel-plated brass casing ensures smooth chambering and casing ejection, so you never have to worry about poor performance. You’ll feel confident about your ability to stop an impending threat in any situation when you carry this ammunition. 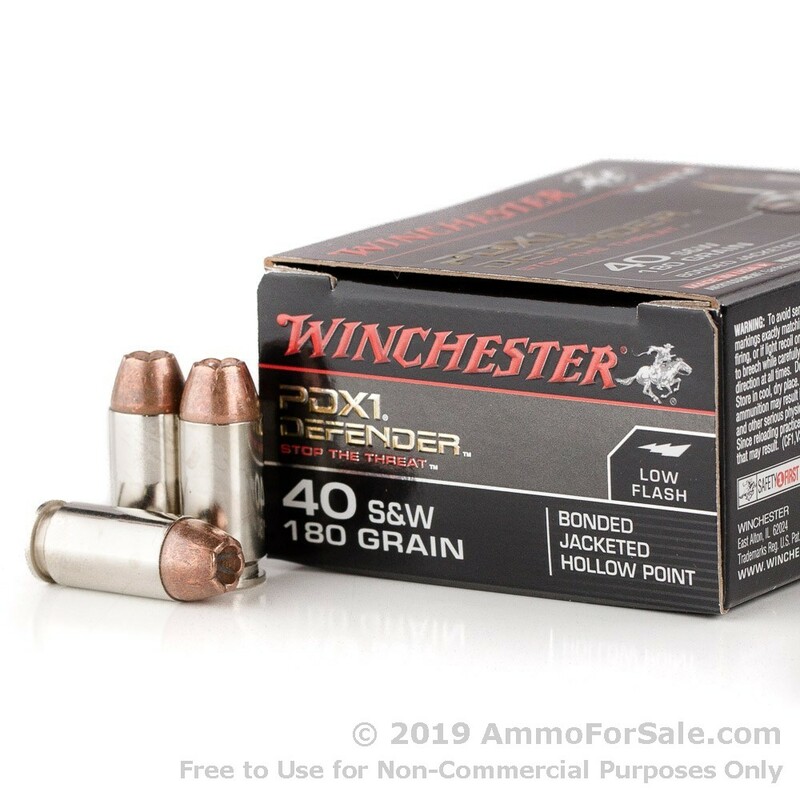 The Winchester bonded PDX1 personal protection ammunition comes in a box that contains 20 rounds of nickel-plated, boxer-primed, non-corrosive, JHP ammo. This ammunition is manufactured here in the United States, at a facility located in Alton, Illinois. When it comes to personal protection, you want to carry the best. Winchester is known to be one of the world’s most respected ammunition brands. Selected at the primary service round for the FBI, we think you’ll be pleased with the quality and performance of this offering from Winchester. Order your box today.